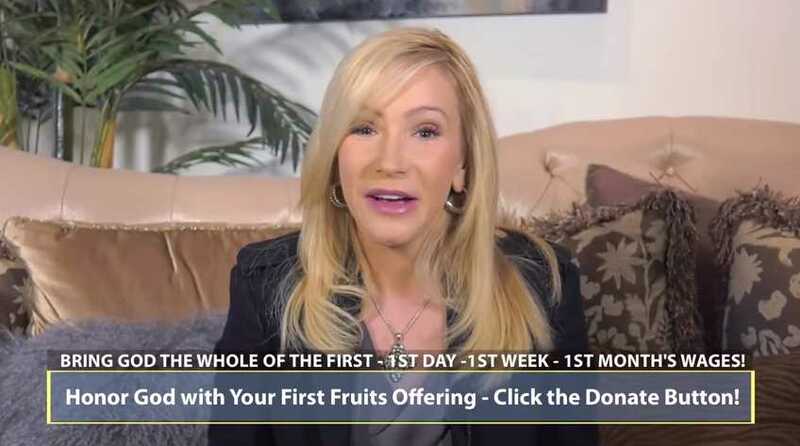 “As you remember the Lord your God, according to Deuteronomy 8:18, through your first fruits offering, He gives you the power to acquire wealth to establish His covenant,” she wrote in a post on her website, accompanied by a YouTube video. “Each January, I put God first and honor Him with the first of our substance by sowing a first fruits offering of one month’s pay. That is a big sacrifice, but it is a seed for the harvest I am believing for in the coming year,” White outlined. She urged others to do so as well, noting that some of her partners “sow a month’s pay, a week’s pay, [or] a day’s pay,”—whatever is their best. White stated that the offering differs from a tithe—or 10 percent—because it is the whole of the first. “When you apply this, everything comes in divine alignment for His plan and promises for you. When you don’t honor it, whether through ignorance or direct disobedience, there are consequences,” White also said. White is offering a book, devotional and/or wall calendar in exchange for a first fruits offering, depending on the amount donated. “I want you to click on that [donate] button, and I want you to honor God with His first fruits offering,” White also urged in the video accompanying the article. View the article and video in full here. However, as reported by Leonardo Blair with Christian Post, some believe that the concept of first fruits is being abused and used as manipulation to coerce the hearer or reader to give the person money in the name of God. She has been married three times. Her first marriage was to Dean Knight, who she married as a teenager. The two have a son together, named Bradley. In 2007, White divorced her second husband, Randy White, and in 2015, she married Journey rocker Jonathan Cain, who has likewise been married three times.